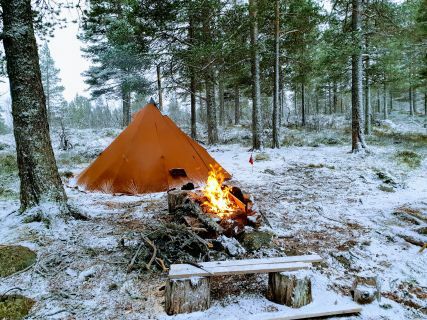 Using the tipi in different kinds of weather. The nature in Norway is perhaps the most beautiful in the world. But also perhaps the most harsh nature in the world. Gamme is an ancient Norwegian form of hut, used since the first people came to Norway, and used by the Sami until today. Enjoy nature with the right gear. Gå til nortent.no for en norsk versjon av siden. 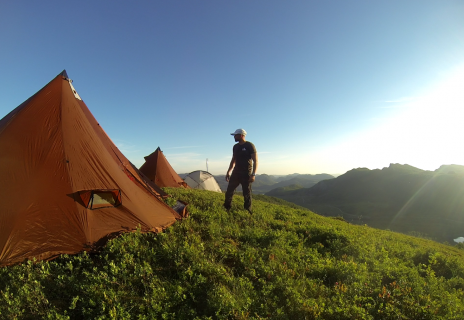 The perfect gear in the wild for us is spacious, lightweight, safe, easy to set up and of course comfortable, Equipment you can rely on in any situation, all seasons. After all, it is all about having the right equipment in the bag that promotes the feeling of well-being when you are walking in the mountains or deep forests. If you have a comfortable trip, the experience and memories is easily brought to the next expedition. And the urge and yearning for the nature becoomes even stronger. For us it is important to be able to stop where we want, stay overnight where we want, make camp, and trust that we are comfortable and safe. 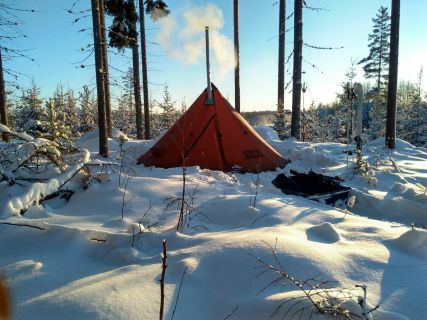 Crawl into the sleeping bag warm and satisfied without worrying about a storm, rain or cold. Yes, we are talking about the exceptionally good feeling of being free together with nature. This is what NorTent is all about.